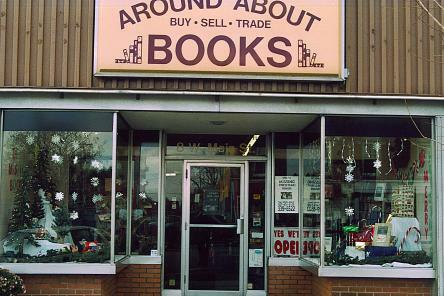 Around About Books has been open since the summer of 1992 and was originally located out by Wal-Mart. 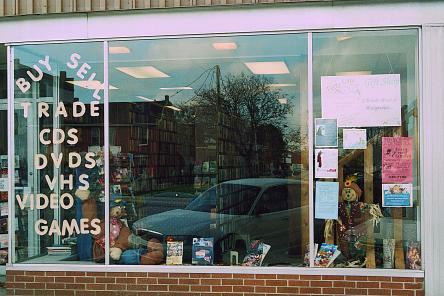 By 1996, the store had relocated downtown and grown to roughly 4800 square feet. In October of 2003, the store's previous owners graciously offered to sell the business to long-time manager Sue Cantrell, who, along with employee Mike Wilkinson and store handyman/vinyl record enthusiast Dave Crouse, purchased it with high hopes. The new owners have added movies (DVD, Blu-Ray, and even VHS), music (CDs and LPs), some video games, comic books, and a bargain room to the store's inventory, along with expanding the new books and local authors sections. Please email us at sales@aroundaboutbooks.com or give us a call at (937) 339-1707 to ensure the book(s) that you are requesting are in stock so that we can pull them and give you confirmation of your request. Looking for that special book? Want lists are always welcome! We can also special order a book for you, if you would like! Please come see us: We are located on the square in the heart of beautiful downtown Troy, Ohio. We are open Monday thru Thursday from 10:00 a.m. to 7:00 p.m. and Friday and Saturday from 10:00 a.m. to 8:00 p.m.
Also, make sure to "Like" us on Facebook for the latest updates, events, and the Question Of The Day!